Be totally surprised and equally impressed by what's behind these closed doors. 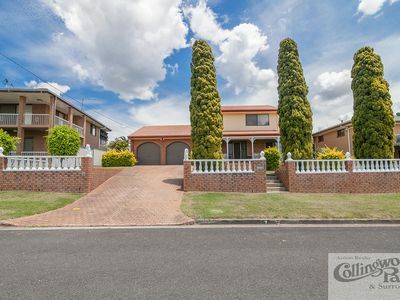 This stunning family home is sure to impress and surprise you, with perfect presentation that is big on style, big on design and suitable for the largest of families. 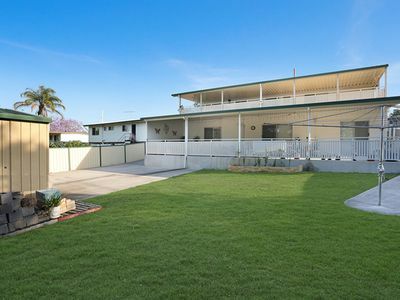 Owners are relocating and offering their much-loved property to the market. Live and entertain in style and comfort with generous size rooms, a fabulous outdoor area and positioned in a quiet court surrounded by quality family homes. This is a home that will tick all the boxes and impress the fussiest of buyers. Separate pool room, home theatre room, or multipurpose room, the choices are endless here. This stunning family home features tiled floors, quality carpets and fittings, well-manicured lawns and easy-care gardens, there are security screens and doors, insulation in the ceilings, air conditioning, dishwasher, ceiling fans, 3.5kw solar panels, solar hot water, a rain water tank and a garden shed completes this lovely picture book home. 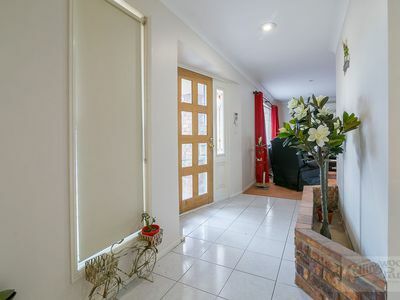 This home is Close to the bus, shopping centre and schools and only a few minutes’ drive to the train station and the Ipswich motorway. 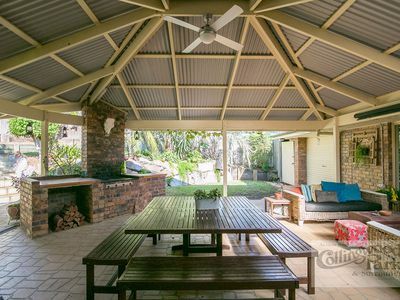 If an easy lifestyle is what you’re seeking, then this property is a must to inspect. Please call Judy for inspection times.